On board British Soldier. Really enjoyed our start out of spectacular Grand Harbour and we then held our own in both the NW run to the 2nd turning mark and in the beat across to Sicily. 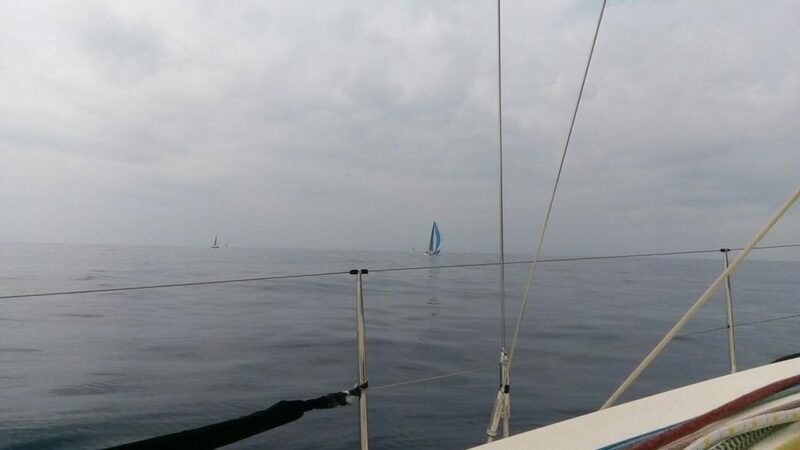 Wind has died off the SE coast of Sicily and we are now in the middle of a long line of becalmed boats waiting for the wind to fill in – slow progress to Messina Strait.